Slate is beautiful natural stone which needs to be protected against exposure and staining. However, often the sealers used cause the surface to become slippery and dangerous in wet conditions. 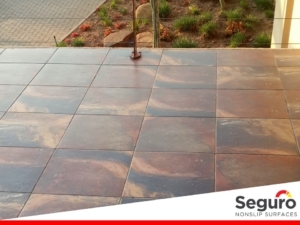 The landing at the entrance of this office building in Kyalami is finished with sealed Slate tile. The sealer causes the slate to be very slippery when it rains. 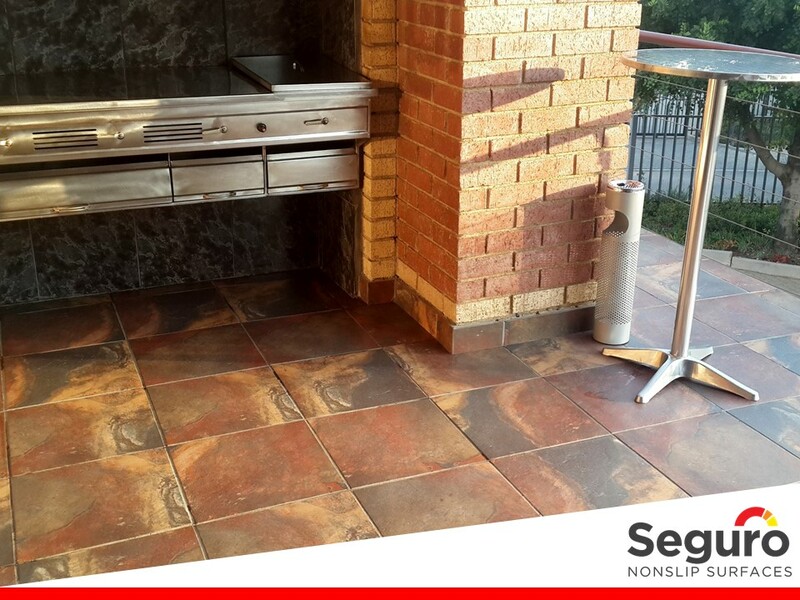 The client put safety first and allowed us to test various treatments to increase the slip-resistance on the tiles while keeping it’s stunning natural colour. We removed dirt and wax build up from the tiles and applied our special anti-slip coating to protect employees and visitors against slips and falls on the landing and patio. Using the anti-slip coating left the tiles still sparkling with their beautiful natural tones and increased the slip resistance making the walk to the front door much safer. We used the same treatment at the entertainment area.